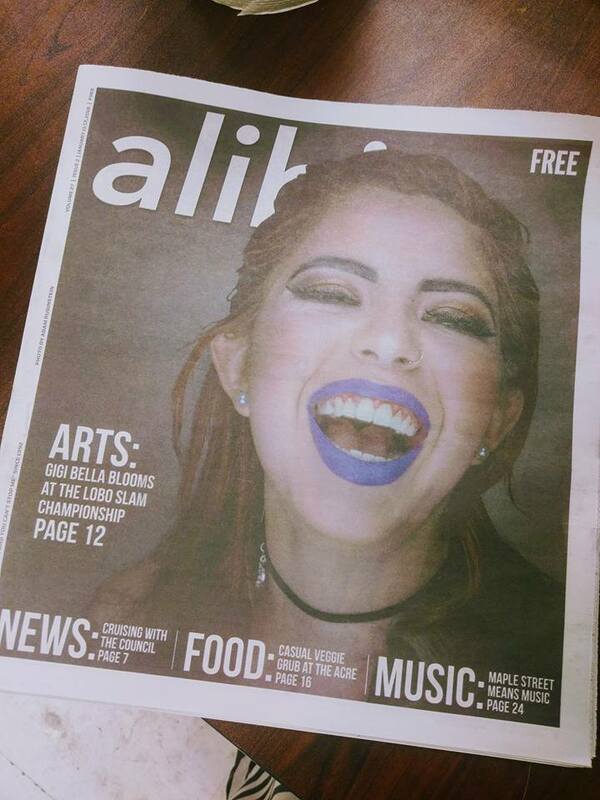 Swimming with Elephants Publications author Gigi Bella is featured in this week’s (January 11-17) Weekly Alibi. She has not only taken the cover, but has a lovely article on page 12. Gigi will be in town for a few weeks preparing for shows and her upcoming tour. Her publication, 22, was released by SwEP in early 2016 and is currently available on Amazon and Barnes and Noble, but you can get a copy in person at one of her upcoming events. 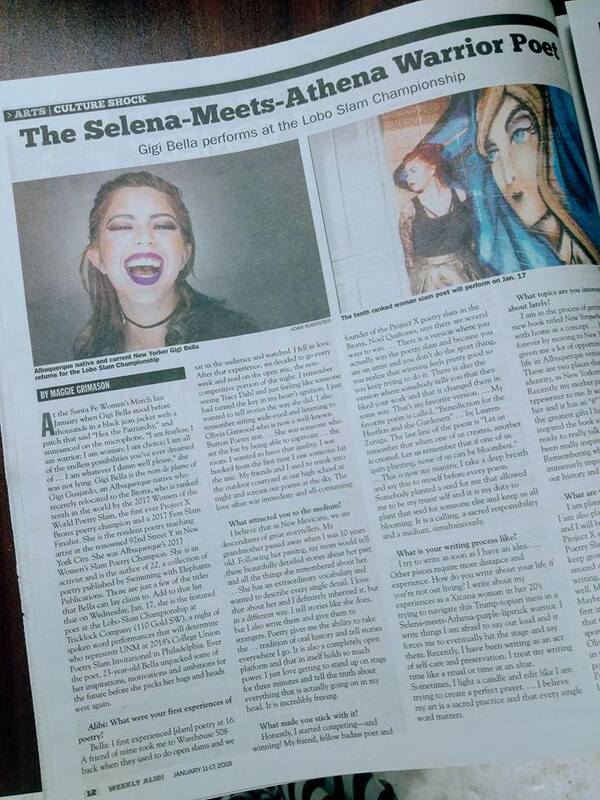 If you are in the ABQ area, catch her at Uptown Girl: A NYC Dream Cabaret on January 16th and Lobo Slam on the 17th of January. And keep your eyes open for upcoming tour dates.